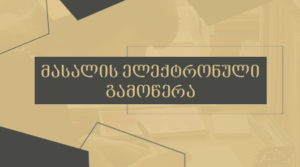 30 დეკემბერს, ხელნაწერთა ეროვნულ ცენტრს ამერიკის შეერთებული შტატების ელჩი საქართველოში რიჩარდ ნორლანდი ოჯახთან ერთად ეწვია. 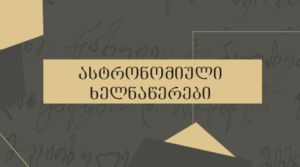 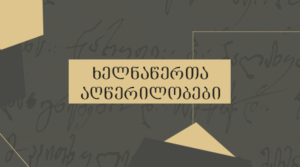 ელჩმა უძველესი ქართული და უცხოური ხელნაწერები დაათვალიერა და ცენტრის დირექტორთან, ბუბა კუდავასთან ერთად სამომავლო კულტურული თუ საგანმანათლებლო ხასიათის თანამშრომლობის საკითხები განიხილა. 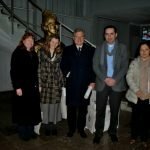 On December 30, Ambassador of the United States of America to Georgia Richard Norland with his family visited the National Centre of Manuscripts. Ambassador saw historical and unique books kept in the Centre. The Centre Director Buba Kudava and the Diplomat also discussed the questions connected to the future cultural and educational collaboration.